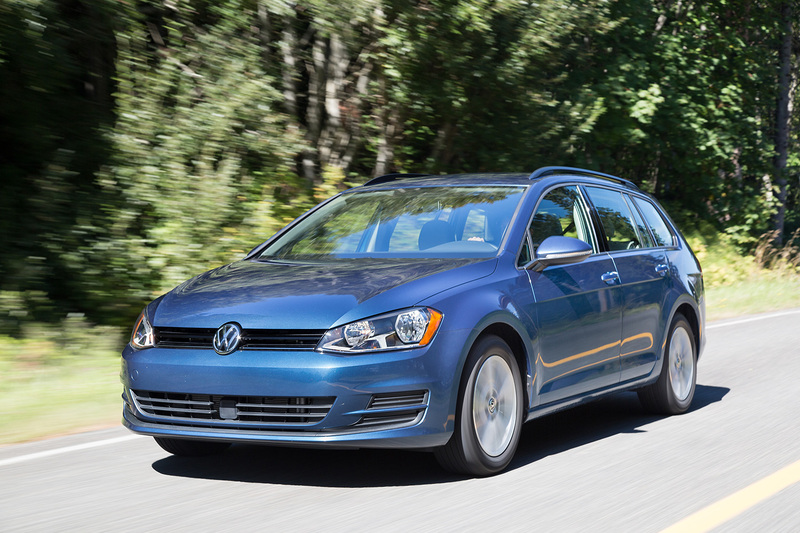 Say hello to the Volkswagen Golf SportWagen TSI S with 4Motion. It comes with a turbocharged 1.8-liter engine that is good for 170 all-wheel horsepower. Other than the extended wagon body it is basically a Volkswagen Golf. It also comes with the brand's famously smooth DSG transmission. A friend summed up this one perfectly: Nice Jetta wagon. No, I had to say, it’s a Golf. Yeah, he’s also old-school. Despite only 1.8 liters, power felt good. It’s not going to run down a GTI, but it’s not a slug. Let’s call its performance par for the class. The six-speed, twin-clutch DSG transmission felt perfect. Yeah, I know we all like to shift our own, but the DSG just works so well. I am a fan. Pull it back to engage S, and it becomes a different animal—fast shifts along with gear changes right where you’d want them. Even if you’re wearing a Save the Stick T-shirt, you might be happy here. I figured that this one would cost more, too. Ours stickered at $25,750. Between the all-wheel drive and DSG, I would have expected a higher figure. If you need an all-wheel-drive wagon, I’d take this one for a spin. Right off the bat, I would vote for this car as one of the best options for the money. Power is good—certainly better than you would expect from a 1.8-liter station wagon. It has get up and go, especially when you pop it down into S mode. The DSG transmission is everything it's cracked up to be: Very smooth with great delivery. I never had a chance to test the all-wheel drive system, but I'm certain that will be attractive to those who live in the northern states. As we regularly step into various new cars, I've become accustomed to dashboards cluttered with enough buttons and switches to rival Apollo 13. The Golf, however, is a huge refreshment. It's elegant. There aren't dozens of buttons littering the dash that you might use once a year. It's clean and I appreciate that. It's also very comfortable. It will make an excellent road trip car. My overall impression of this car: two thumbs way up. Clean inside and out! Does all the right things at a fair price. That should give Subaru a little competition around Portland (Or). At a recent Portland Auto Show, which is a modest affair to be sure, the Subaru area was mobbed, while everybody else had lonely looking sales people staring at the carpet between glances at their watches. It certainly seems like it would be a great competitor for Subaru. I thoroughly enjoyed it. Yeah, I really expected this one to be more expensive. Our actual test car was silver, too. It looked good in that color. I'd daily it and be happy. And if you desire to row your own, the standard transmission is a 6 speed manual for $1100 less. Just looked. My god your right. I am so confused about my next car now. I... The Mini's been and remains great, but I'm still angry at VW for being so badly behaved I can't do business with them. The misc Sportwagens are awesome. It remains the only car in its class. Seriously. It's one thing to be angry at a company for their behavior, but such a step further that I'm angry about being deprived of the opportunity to give them my money. I hope whomever's at the helm from here on gets it. I might be in the market for one (s trim manual 2wd tho) as my next vehicle. I drive 60 miles a day. How are these on the highway? Wow, I just did a quick search on Autotrader for funsies. The base S is going for less than I thought. $17,500 seems pretty cheap for a new car these days. Just bought an 18 Alltrack six speed for the wife which is the same vehicle for all intents and purposes. She loves it. Quiet on the highway but I haven't been in any high end cars recently to compare it to. It's a little pokey compared to her 04 Forester XT but there are tunes available that are reportedly undetectable. Also 2018 gets a 6/72k bumper to bumper which is nice considering my skepticism of their reliability. Shes got a short commute and we haven't done any longer trips yet so unsure of mileage. The computer is saying 26 or so. Cool. Congratulations on the new car. I really want to like it. It checks most of the boxes for what I like. But man, that is one of the most dull-looking cars I've ever seen. And in this day and age of HIDs, projectors, and LED headlights..... are those halogen reflector-syle headlights? Have you seen one in person? They're... crisp. This latest wagon is undoubtedly a very practical car, but the styling seems about a decade old. I don't think I could tell this new car from a 2010 Jetta Wagon if I saw it on the street, and I'm a former Jetta owner. maybe when the WRX finally blows up..
That is exactly why the wife ended up with a 2018 Alltrack SE 6 speed to replace the 04 Forester XT 5 speed. No manual Subaru wagons with a turbo. I'll warn you that you will likely be disappointed with the power. A tune does wake them up but I really don't know why they didn't put the 2.0t which is offered in GTI, Beetle, Jetta, Eos etc. The interior and ride/noise is quite an upgrade over the Subaru. Yeah, that's my concern, especially since my WRX puts 280 to the WHEELS. The wife was not at all interested before driving one. Her only let down was/is the power. The Forester had a downpipe/exhaust and tune but was otherwise stock td04 and all. A tune helps quite a bit. The GTI (IS20) and Golf R (IS38) turbos are a bolt on but a clutch upgrade is reportedly needed soon after upgrading. There is a 11 second/115-120 trap speed sportwagen running the stock motor with a Golf R turbo which you can find on YouTube. It is a DSG car however. I am trying not to void the 6/72 warranty but if you got a used 2017 with a 3/36 you wouldn't have to worry as much about that. Apparently the motors are decent. I've heard of a rear main seal leak but otherwise it's mostly complaints about the sunroofs leaking and some squeaky suspensions due to strut mounts. My wife just "Found" the turbo yesterday. She was merging onto the highway and audibly said "weeeeee." The Is38 turbo is on the list for down the road with hers. Right now it is DD status. 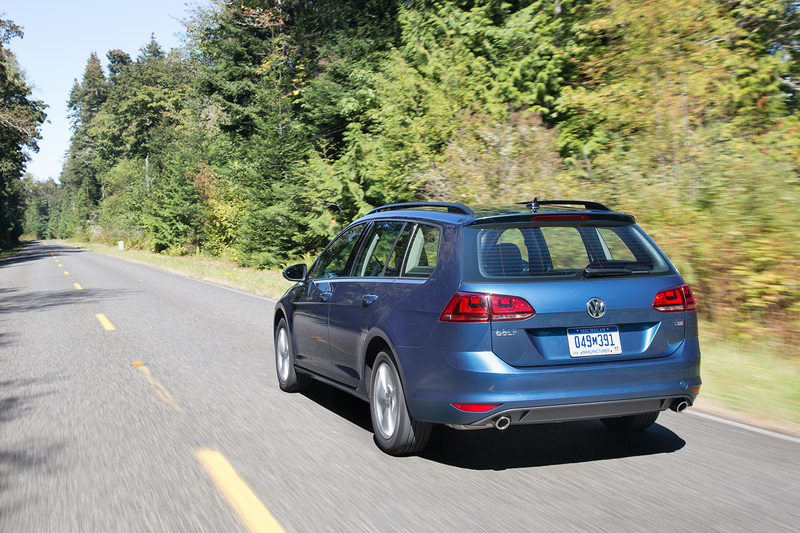 I have seen the YouTube Sportwagen, and absolutely love the sleeper aspect of it. We opted out of the Sunroof, which apparently is hard to do. Most have the panorama or small moon roof. So far I am pretty happy with the car. We will have it for a long time.